2018 DDSJ Festival Lineup - Western Region Puerto Rican Council, Inc.
Charlie Aponte, one of the most beloved and remembered voices by millions of Salseros worldwide, returns to the stage as a Soloist after 41 successful years with La Universidad de la Salsa...El Gran Combo de Puerto Rico. With Charlie Aponte as their lead singer El Gran Combo recorded many hits—--Brugeria; Amor Brutal; La Loma del Tamarindo; No hay Cama pa’ tanta Gente; Hojas Blancas; Arroz con Habichuelas; among many others. Internationally known salsa singer and band leader, Tony Vega, emerging from Puerto Rico in the 1980’s, has worked with many of the greatest salsa stars from the beginnings of the genre, to the present. Vega was exposed to music at a very early age; influenced by many adults in his family who were musicians. Even in those early days, it was clear to Vega that nothing could satisfy his musical preferences like the music of his native Puerto Rico. He was greatly influenced then by Ismael “Maelo” Rivera and Cortijo y su Combo, Rafael Ithier and El Gran Combo. Vega signed with the then new RMM record label and released his solo debut with Yo Me Quedo! in 1988. 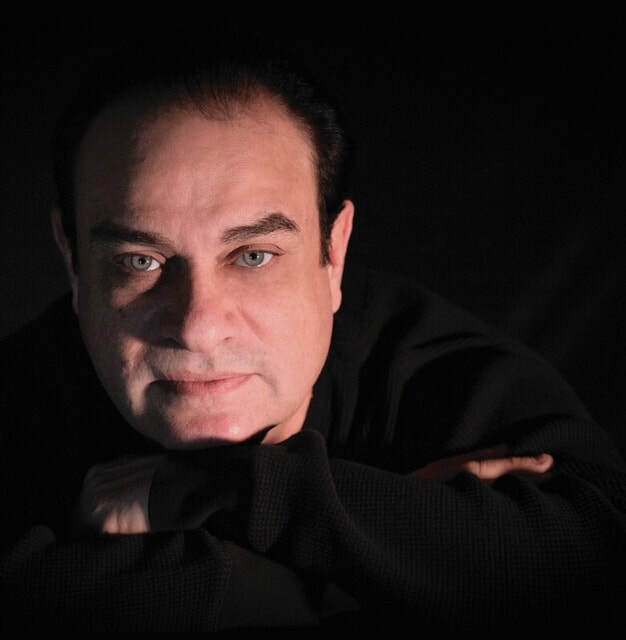 Tony Vega has recorded Hablando del Amor, Greatest Hits, Aparentemente, Hoy Quiero Cantarte, the self-titled Tony Vega, and these have established Vega as a highly regarded salsa star. 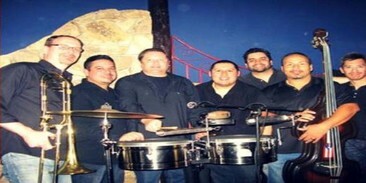 Orquesta Taino began as a project to deliver salsa and latin jazz in August of 2010. The concept is very simple, a nine piece band with the sound and elegant sophistication of a big orchestra. Inspired by bands and individuals such as Ray Barretto, Tito Puente, Willie Rosario, Eddie Palmieri and many others, TAINO has developed into one of the most solid, hard-hitting salsa bands in the area. The band is led by percussionist and lead vocalist, Aaron Routtenberg. Aaron has toured and performed with some of the biggest names in the salsa industry including Jerry Rivera, Tito Nieves, La India, Tito Rojas and many more. The percussion section features Carlos Caro on congas and Papo Martinez on bongo. On bass, Taino is proud to have veteran band leader and musician Gilbert Roman, while the extremely talented Erick Peralta occupies the piano chair. The sizzling horn section is proud to have Mike Rinta and Charly Aguilar on trombones, while Carlos McCoy dazzles audiences on baritone sax and flute. With this strong vocal section, swinging rhythm section, and blazing horn section that will make you move, we invite you to experience a musical masterpiece that you won’t soon forget! Ya lo ves, que viene TAINO! ​​Born and raised in the island of Puerto Rico, Pedro Pestrana grew up immersed in the “jibaro” music, playing the national instrument “el cuatro.” In a place with so many influences, exploring other popular music styles like salsa, jazz, and rock added more vocabulary to his musical dictionary. Now living in San Francisco, California, he has worked with musicians from different regions of the country. With a passion for genre bending rooted in folk music, Pedro brings his dynamism and shows the versatility of the instrument in popular and world music. Throughout his career, Helio has worked with many local and international artists and bands including: Avance, Julio Bravo, Orquesta Borinquen, Johnny Polanco, E-40, Pitbull, La Sonora Carruseles, Melcochita, Michael Stuart, Don Perignon, and others. Helio has also DJ’d at many local clubs throughout the Bay Area, including Roccapulco, Glas Kat, and Cafe Cocomo, and is currently the resident DJ for SalsaJamNights Productions. Jose Enriques Solis Vega, born on the Island of Puerto Rico, arrived in California in 1980 after proudly serving in the U.S. Army. Serving in the U.S. Army meant so many things to him and he still reflects back to the time when he first enlisted. Jose has been a member of El Club Puertorriqueño de San Francisco for the last 30 years. He held the role of President, Vice President and Parlimentarian throughout his 30 years. He is also a member of the WRPRC (Western Region Puerto Rican Council) for the past 18 years and has held the role of Chair, Vice Chair and Parliamentarian. He is also responsible for organizing the main stage music talent for El “DDSJ” Festival. Jose, who loves to sing, was honored to sing the National Anthem in Santa Cruz; Puerto Rico National Team vs the Santa Cruz Warriors. Jose will be singing the PR National Anthem at El “DDSJ” Festival for our 40th Anniversary at the History Park in San Jose on Saturday June 30th, 2018.